Five years ago, I wrote a post on this blog disparaging the state of the Internet of Things/home automation market as a “Tower of Proprietary Babble.” Vendors of many different home and industrial product offerings were literally speaking different languages, making their products inoperable with other complementary products from other vendors. The market was being constrained by its immaturity and a failure to grasp the importance of open standards. A 2017 Verizon report concluded that “an absence of industry-wide standards…represented greater than 50% of executives concerns about IoT.” Today I can report that finally, the solutions and technologies are beginning to come together, albeit still slowly. One of the most important factors influencing these positive developments has been the recognition of the importance of this technology area by major corporate players and a large number of entrepreneurial companies funded by venture investment, as shown in the infographic above. Amazon, for example, announced in October 2018 that it has shipped over 100 Million Echo devices, which effectively combine an intelligent assistant, smart hub, and a large-scale database of information. This does not take into account the dozens of other companies which have launched their own entries. I like to point to Philips Hue as such an example of corporate strategic focus perhaps changing the future corporate prospects of Philips, based in Eindhoven in the Netherlands. I have visited Philips HQ, a company trying to evolve from the incandescent lighting market. Two years ago my wife bought me a Philips Hue WiFi controlled smart lighting starter kit. My initial reaction was disbelief that it would succeed. I am eating crow on that point, as I now control my lighting using Amazon’s Alexa and the Philips Hue smart hub. 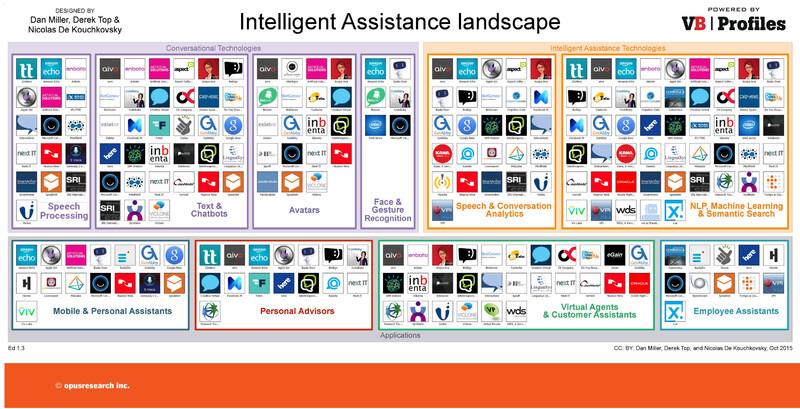 The rise of the “intelligent assistant” seems to have been a catalyst for growth and convergence. The situation with proprietary silos of offerings that do not work well or at all with other offerings is still frustrating, but slowly evolving. Amazon Firestick’s browser is its own awkward “Silk” or alternatively Firefox, but excluding Google’s Chrome for alleged competitive advantage. When I set up my Firestick, I had to ditch Chromecast because I only have so many HDMI ports. Alexa works with Spotify but only in one room as dictated by Spotify. Alexa can play music from Amazon Music or Sirius/XM on all Echo devices without the Spotify limitation. Which brings me to another point of aggravation: alleged Smart TV’s. Not only are they not truly “smart,” they are proprietary silos of their own, so “intelligent assistant” smart hubs do not work with “smart” TV’s. Samsung, for example, has its own competing intelligent assistant, Bixby, so of course, only Bixby can control a Samsung TV. I watched one of those YouTube DIY videos on how you could make your TV work with Alexa using third-party software and remotes. Trust me, you do not want to go there. But cracks are beginning to appear that may lead to a flood of openness. Samsung just announced at CES that beginning in 2019 its Smart TV’s will work with Amazon Echo and Google Home, and that a later software update will likely enable older Samsung TV’s to work with Echo and Home. However, Bixby will still control the remote. Other TV’s from manufacturers like Sony and LG have worked with intelligent assistants for some time. The rise of an Internet of Everything Everywhere, the recognition of the need for greater data communication bandwidth, and battery-free wireless IoT sensors are heating up R&D labs everywhere. Keep in mind that I am focusing on the consumer side, and have not even mentioned the rising demands from industrial applications. 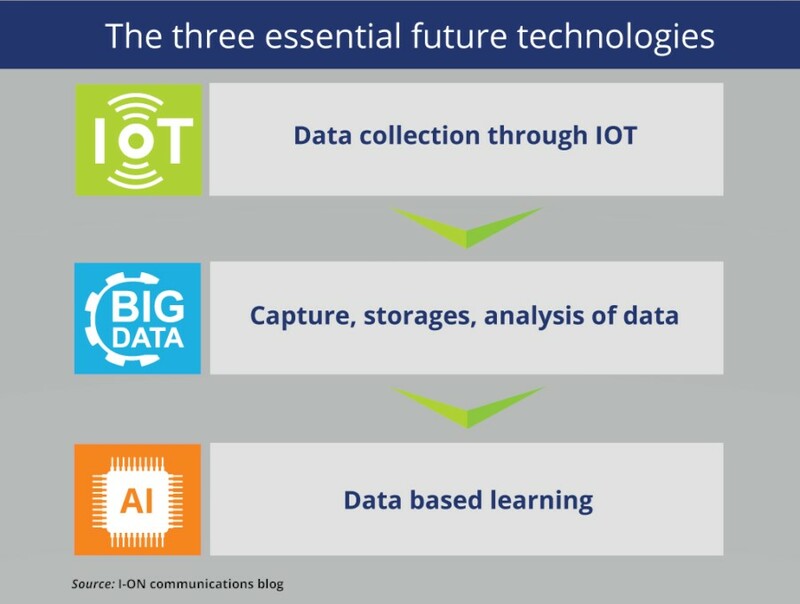 Intel has estimated that autonomous vehicles will transmit up to 4 Terabytes of data daily. AR and VR applications will require similar throughput. Existing wireless data communication technologies, including 5G LTE, cannot address this need. In addition, an exploding need for IoT sensors not connected to an electrical power source will require more work in the area of “energy harvesting.” Energy harvesting began with passive RFID, and by using kinetic, pizeo, and thermoelectric energy and converting it into a battery-free electrical power source for sensors. EnOcean, an entrepreneurial spinoff of Siemens in Munich has pioneered this technology but it is not sufficient for future market requirements. Fortunately, work has already begun on both higher throughput wireless data communication using mmWave spectrum, and energy harvesting using radio backscatter, reminiscent of Nikola Tesla’s dream of wireless electrical power distribution. The successful demonstration of these technologies holds the potential to open the door to new IEEE data communication standards that could potentially play a role in ending the Tower of Babble and accelerating the integration of AI, IoT, and Big Data. Bottom line is that the market and the technology landscape are improving. My IEEE Talk from 2013 foreshadows the development of current emerging trends in advanced technology, as they appeared at the time. I proposed that in fact, they represent one huge integrated convergence trend that has morphed into something even bigger, and is already having a major impact on the way we live, work, and think. The 2012 Obama campaign’s sophisticated “Dashboard” application is referenced, integrating Big Data, The Cloud, and Smart Mobile was perhaps the most significant example at that time of the combined power of these trends blending into one big thing. 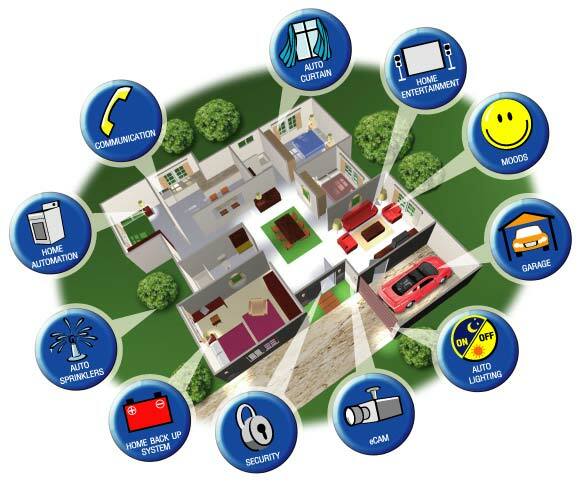 The term “Internet of Things” (IoT) is being loosely tossed around in the media. But what does it mean? It means simply that data communication, like Internet communication, but not necessarily Internet Protocol packets, is emerging for all manner of “things” in the home, in your car, everywhere: light switches, lighting devices, thermostats, door locks, window shades, kitchen appliances, washers & dryers, home audio and video equipment, even pet food dispensers. You get the idea. It has also been called home automation. All of this communication occurs autonomously, without human intervention. The communication can be between and among these devices, so-called machine to machine or M2M communication. The data communication can also terminate in a compute server where the information can be acted on automatically, or made available to the user to intervene remotely from their smart mobile phone or any other remote Internet-connected device. But this is also where the glowing promise of The Internet of Things (IoT) begins to morph into a giant “hairball.” The term “hairball” was former Sun Microsystems CEO, Scott McNealy‘s favorite term to describe a complicated mess. In hindsight, the early euphoric days of home automation were plagued by the lack of “convergence.” I use this term to describe the inability of available technology to meet the market opportunity. Without convergence, there can be no market opportunity beyond early adopter techno geeks. Today, the convergence problem has finally been eliminated. Moore’s Law and advances in data communication have swept away the convergence problem. But for many years the home automation market was stalled.